Luxury Real Estate located in Michigan's Upper Peninsula. Big Manistique Lake has 10,130 acres, it is an amazing place all year round! This is the property that people dream of, 18 acres, lighthouse inspired home, 3 other cottages, dock, & tons of beachfront! Located directly on Big Manistique Lake nestled along Helmer Bay, this huge Luxury Real Estate Property comes to you with luxurious "Lighthouse" home, trout pond, pavilion, boat house/cook house, 40'x48' barn, and more. Big Manistique Lake is a huge resource of water recreation for the family! Big Manistique Lake has 10,130 acres, it is an amazing place all year round! Have you dreamed of owning your own piece of Heaven on Earth? 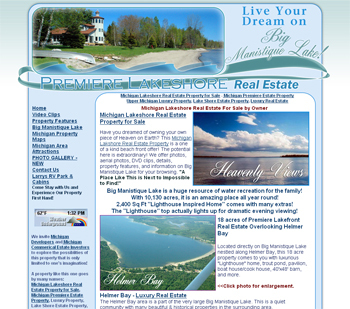 This Michigan Lakshore Real Estate Property is a one of a kind beach front offer! The potential here is extraordinary! We offer photos, aerial photos, DVD clips, details, property features, and information on Big Manistique Lake for your browsing. "A Place Like This is Next to Impossible to Find!" SCHEDULE A VIEWING OF THIS LUXURY REAL ESTATE PROPERTY BY CALLING 906.586.6055 OR 906.293.3625. 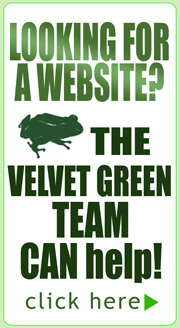 PLEASE VISIT THEIR WEBSITE AT WWW.MICHIGANLAKESHOREREALESTATE.NET!